MARC O’POLO and Galeries Lafayette have enlarged the MARC O’POLO menswear area at Galeries Lafayette on Boulevard Haussmann in Paris, which has 100,000 customers every day. With a size of 55m², the expanded area marks the next step in the great success of MARC O’POLO menswear at the French Department Store. Galeries Lafayette had first added MARC O’POLO Casual Men to its range at Boulevard Haussmann in February of 2017. 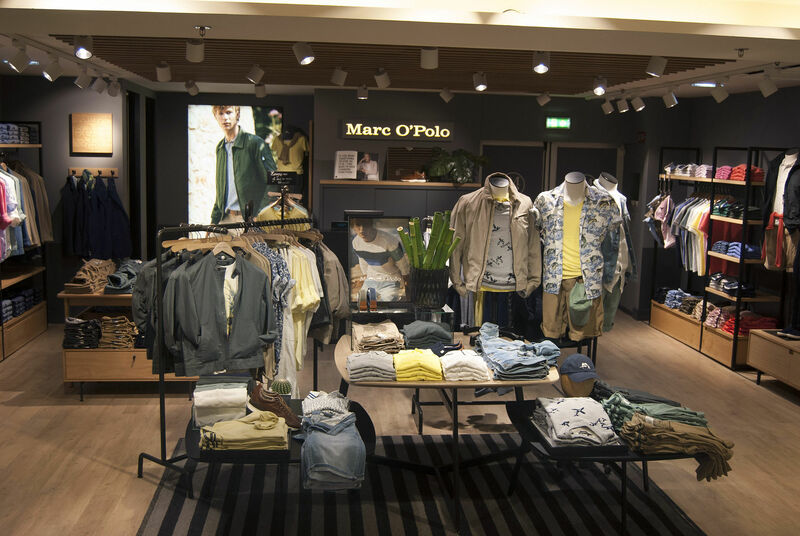 Since then, MARC O’POLO Casual Men has opened shop-in-stores in 14 other Galeries Lafayette flagships, including those in Toulouse, Lyon and Nice. Apart from the premium positioning of MARC O’POLO, the partners attribute the brand’s success to the high quality of the products and the focus on natural materials. In particular, the use of organic cotton and recycled fibers in the MARC O’POLO collections is appreciated by French customers, for whom sustainability is becoming increasingly important.